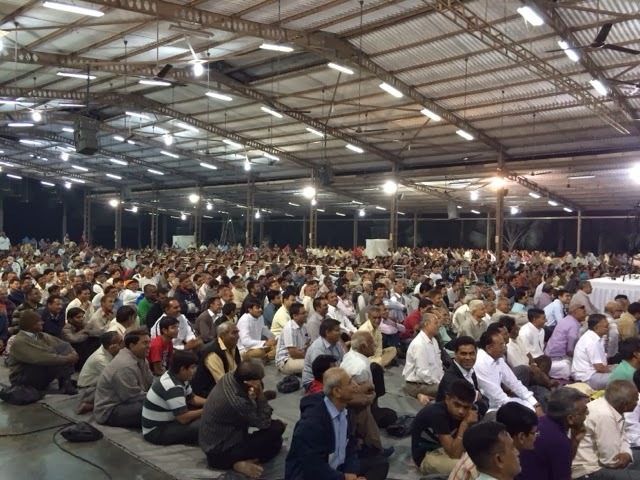 There was a large audience that showed up for the satsang in Anand (Gujarat), India on 8th December. The hall was completely filled with people from the many surrounding villages and towns in the Charotar area. Questioner : How much injustice do we have to accept? 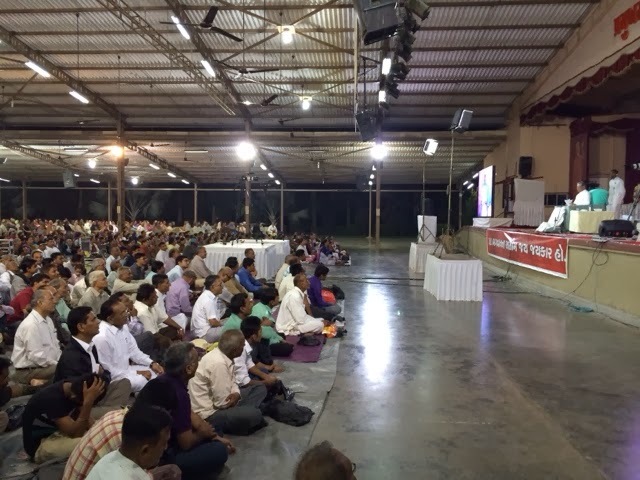 Pujya Deepakbhai : There is more injustice going on inside our body, than there is from the outside. Questioner : When I see the bad and impure conduct of any Saint, I lose faith in religion. 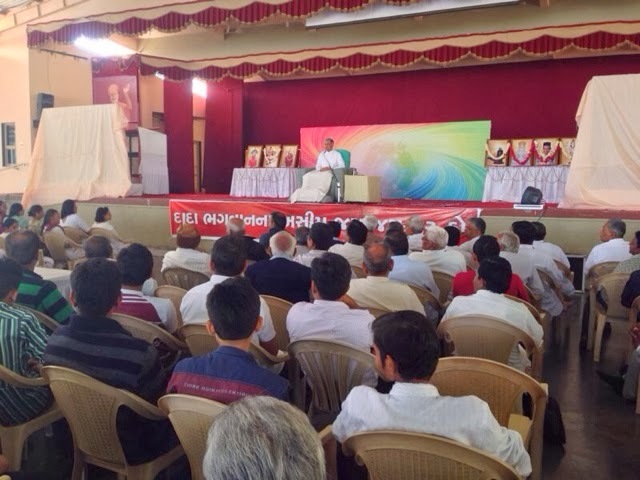 Pujya Deepakbhai : Does a Saint never vomit? We have to focus on the knowledge and understanding of the Saint.